Mission Santa Inés (sometimes spelled Santa Ynez) is a Spanish mission in the present-day city of Solvang, California, and named after St. Agnes of Rome. 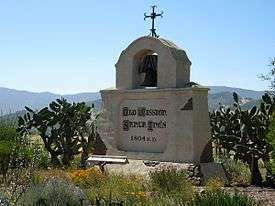 Founded on September 17, 1804 by Father Estévan Tapís of the Franciscan order, the mission site was chosen as a midway point between Mission Santa Barbara and Mission La Purísima Concepción, and was designed to relieve overcrowding at those two missions and to serve the Indians living east of the Coast Range. The mission was home to the first learning institution in Alta California and today serves as a museum as well as a parish church of the Archdiocese of Los Angeles. 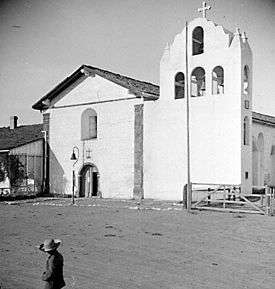 Most of the original church was destroyed on December 21, 1812 in an earthquake centered near Santa Barbara that damaged or destroyed most of California's missions. The quake also severely damaged other mission buildings, but the complex was not abandoned. A new church, constructed with 5-to-6-foot-thick (1.5 to 1.8 m) walls and great pine beams brought from nearby Figueroa Mountain, was dedicated on July 4, 1817. A water-powered grist mill was built in 1819, about half a mile from the church. In 1821, a fulling mill was added, designed by newly arrived American immigrant Joseph John Chapman. On February 21, 1824 a soldier beat a young Chumash Indian and sparked the Chumash Revolt of 1824. Some of the Indians went to get the Indians from Missions Santa Barbara and La Purísima to help in the fight. When the fighting was over, the Indians themselves put out the fire that had started at the mission. Many of the Indians left to join other tribes in the mountains; only a few Indians remained at the mission. 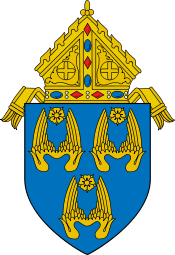 In 1833 the missions in California were secularized, and most of their land given in land grants to settlers. 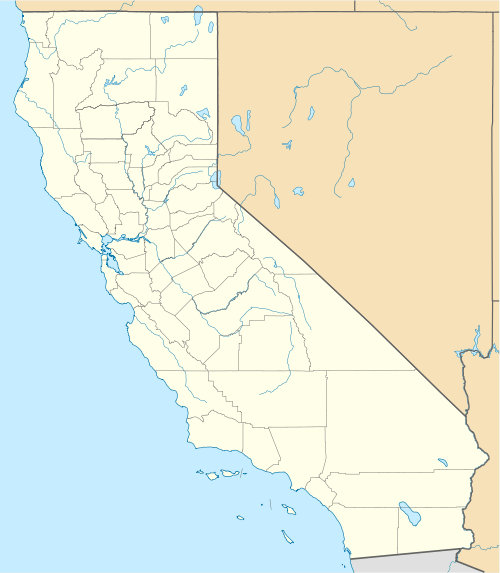 In 1843, California's Mexican governor Micheltorena granted 34,499 acres (139.61 km2) of Santa Ynez Valley land, called Rancho Cañada de los Pinos, to the College of Our Lady of Refuge, the first seminary in California. Established at the mission by Francisco García Diego y Moreno, first Bishop of California, the college was abandoned in 1881. By then the mission buildings were disintegrating. 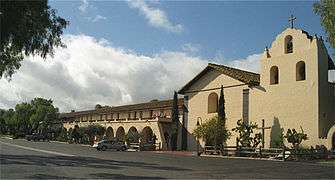 Highwayman Jack Powers briefly took over Mission Santa Inés and the adjacent Rancho San Marcos in 1853, intending to rustle the cattle belonging to rancher Nicolas A. Den. Powers was defeated in a bloodless armed confrontation. He was not ousted from the Santa Barbara area until 1855. The Danish town of Solvang was built up around the mission proper in the early 1900s. It was through the efforts of Father Alexander Buckler in 1904 that reconstruction of the mission was undertaken, though major restoration was not possible until 1947 when the Hearst Foundation donated money to pay for the project. The restoration continues to this day, and the Capuchin Franciscan Fathers take excellent care of Mission Santa Inés. USNS Mission Santa Ynez (AO-134) — a Mission Buenaventura Class fleet oiler built during World War II. 1 2 3 Krell, p. 315: as of December 31, 1832; information adapted from Engelhardt's Missions and Missionaries of California. Krell, Dorothy (ed.) (1979). The California Missions: A Pictorial History. Sunset Publishing Corporation, Menlo Park, CA. ISBN 0-376-05172-8. Jones, Terry L. and Kathryn A. Klar (eds.) (2007). California Prehistory: Colonization, Culture, and Complexity. Altimira Press, Landham, MD. ISBN 0-7591-0872-2. Wikimedia Commons has media related to Mission Santa Inés.